Contact Us for roof inspections and free no obligation estimates. With all the storms in our area of Johnson County, you may have hail and wind damage or issues with your shingles. 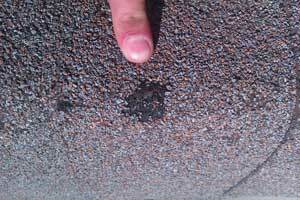 It is a good idea to have your roof checked by a roofing professional after any hail storm or high winds event. In most cases, you can not see damage to your roof from the ground which is why it is imperative to have your roof inspected by a trained roof inspection expert. Do you need help after the storm? When it comes to getting a roofing repair you want to choose a Kansas City roofing company who is a local roofing company you can trust. You need a roofing company with a reputation for honest and accurate inspections looking at your roofing repair needs; A Kansas City roofing company that will deliver the quality work you deserve with exceptional service. When it comes to having a roofing repair it is often a frustrating situation that creates more damage than to just the roof. Roof repairs and chasing the leaks coming into your home should be left to a trained expert with the experience necessary to evaluate the damage and determine the correct course of action to prevent future damage. As a Class A licensed contractor our experience and training goes beyond just the roof. Roof leaks are sometimes not cause by a failure in the roofing system but can be traced to other components of your homes exterior. Being Kansas City roofing experts is more than just a saying and can be proven in the quality of the service and craftsmanship. 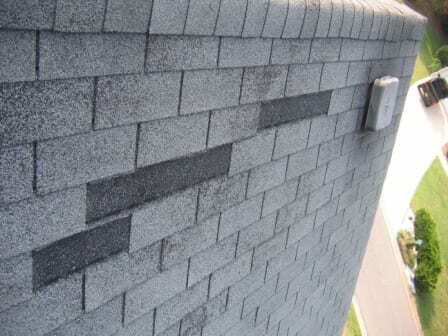 Too often when in comes to roof repairs we find signatures signs of previous repairs that had been repaired incorrectly. Roof repairs require more than just knowing how to use a caulk gun, it takes experience and knowledge to know what the correct roofing materials are to use and how the products should be properly applied. When it comes to fixing leaks it is not wise to take a one product fits all approach. As Kansas City’s foremost roofing experts we know the products that provide a quick fix are generally poor short term solutions that can cause further damage to your home and create costly repairs in the future. Cordray Construction and Roofing understands when it comes to roof repairs sometimes a verbal explanation of the damage will not work. If a picture is worth a thousand words then we try to provide two or three thousand words, we attempt to get several pictures of what may be causing the issue to share with you on the ground and email to you with the free estimate. This allows us to insure for the sake our customer you are getting accurate and honest information you know that you can trust. Cordray Construction and Roofing prides itself on setting the standard in Kansas City roofing, and it is our goal to ensure your complete satisfaction on every job.